ST. GEORGE — Following “cash flow” problems for Southern Utah solar energy company Legend Solar, Dixie State University officials have decided to discontinue the company’s naming rights of the football stadium. Legend Solar pledged in April 2016 to donate $10 million to the university for renovations to the stadium. 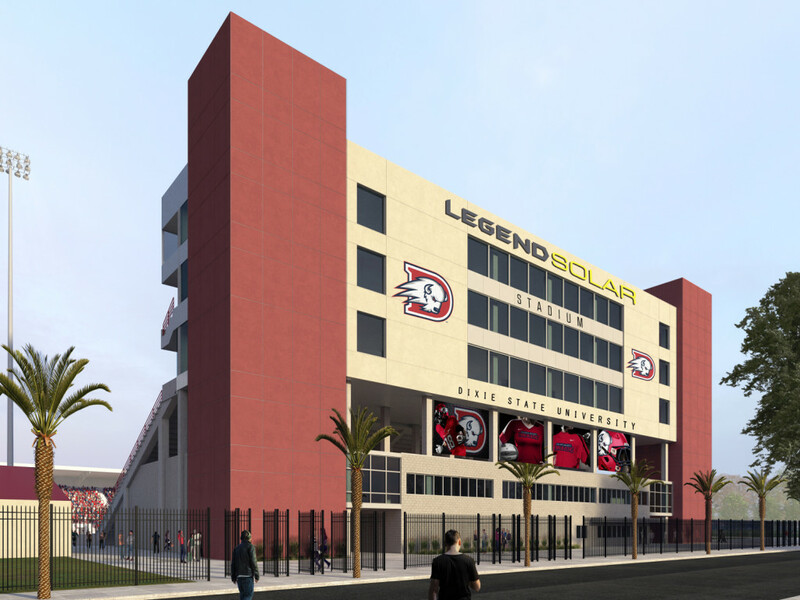 At that time, Legend Solar committed $5 million in cash to be donated over a 20-year period and an additional $5 million in solar technology that would have been installed on the Dixie State campus through 2027, Dixie State spokeswoman Jyl Hall said in a statement. The rest of the money for the stadium will now come from “alternative revenue streams” like other donations, according to the university’s statement. The stadium’s renovations will continue as planned and will be completed by the end of April. Legend Solar is very grateful for our relationship with Dixie State University. DSU has been both supportive and helpful as we have been through a challenging 2017, and now as we begin rebuilding our company. We could not ask for a better group to work with these last two years. We are focused on taking care of our customers and our employees, while continuing to build our business in a way that will allow us to serve our community for decades to come. 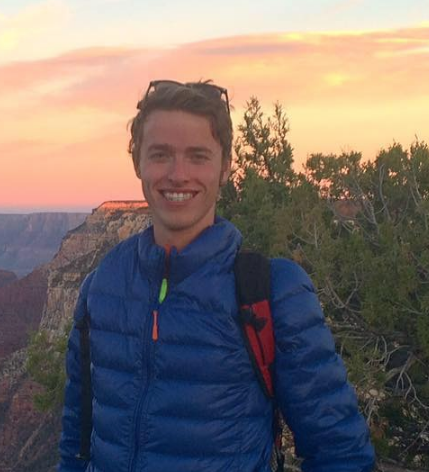 Editor’s note: This is a developing story and will be updated as more details emerge. If you or someone you know have been a customer of Legend Solar and have not yet had their systems installed or reimbursed if you cancelled the installation, please contact reporter Spencer Ricks at sricks@stgnews.com. Legend solar= FLY.BY.NIGHT. I knew this company was shady. shady shady. got too big too fast, likely mismanaged and corrupt. The likely scenario: the top dogs will bail out with a golden parachute, and leave a bankrupt company and lots of unemployed people. Welcome to “freemarket capitalism”, except the solar industry has been hugely subsidized by the fed gov’t to the tune of tens of billions–maybe that cash from daddy gov’t in drying up. The “solar industry” has been a welfare industry for a long time, at least under most of obomo’s 8 years. Figured that would happen soon. There are many employees that hadn’t been paid in 3 months or so. Also many clients that prepaid large amounts of money and never got their product installed yet. Some waited a year or so. And probably other financial woes that finally did them in. Sometimes when something sounds to good to be true, it is. The original story of a 10 million dollar donation made it sound like the cash was delivered in exchange for the naming rights. There was nothing stated about 5 million in cash over 20 years and the balance paid in solar energy. This reeks of a scam involving DSU administration too. Cash in the right palm bought millions in misrepresented market strength perhaps? I sure was duped into feeling proud about a legitimate homegrown green tech company. At least we still have our schaudenfreude. This story is about to get good, or it least it should if we had legitimate local journalists. Time to break out the tar and feathers. Called it! I saw this coming a thousand miles away and pointed it out when everyone else was going crazy getting excited about it. So many commenters here called me a moron and worse for “doubting the integrity and stability” of Legend Solar. Slime balls and con artists over there at Legend Solar. They knew what they were doing was completely unsustainable and morally wrong and yet they did it anyway. The least they could do is name the snack bar or the restrooms after Solar. Afterall, when the Legend flag went up DC they dropped name of the “Hansen Stadium” and allowed Hansen’s name on the two portals on the west side. Not enough? Why is it Arslanian Field and not Croshaw Field? Want to compare win/lost records for the two of them? Be of good cheers, though. We will have the best losing team in the newest stadium in the league. Now if there were endorsements from say, the Al Gore Environmental think tank to the university’s PR department, you can’t really blame them for getting involved. Right? It was a nice looking, catching new sign. And possible study grants down the road?